Hey. I want to see where people are with their project. 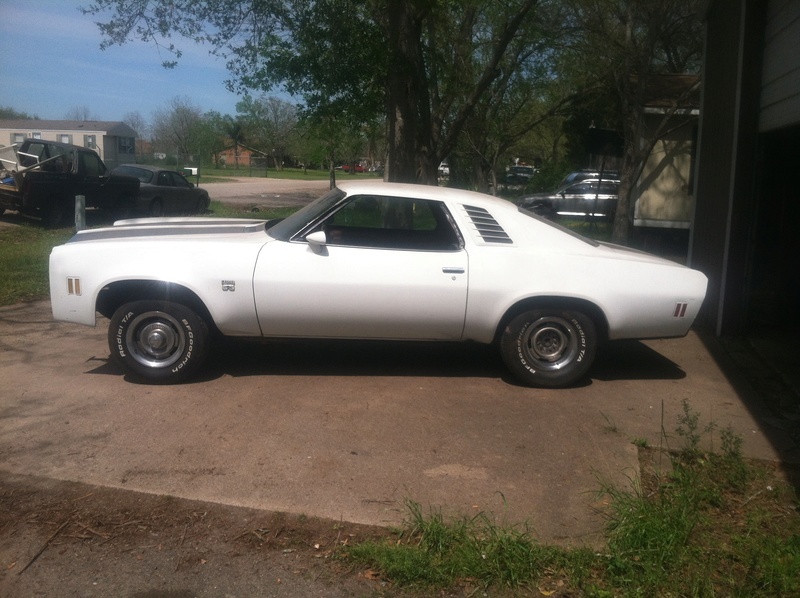 I am building, or not really working on it but need to so maybe this thread will get me off the couch, 1976 Laguna S3. This is about as far as I have gotten. I have the nose off and need to do a little body work. My interior is complete but not yet installed. 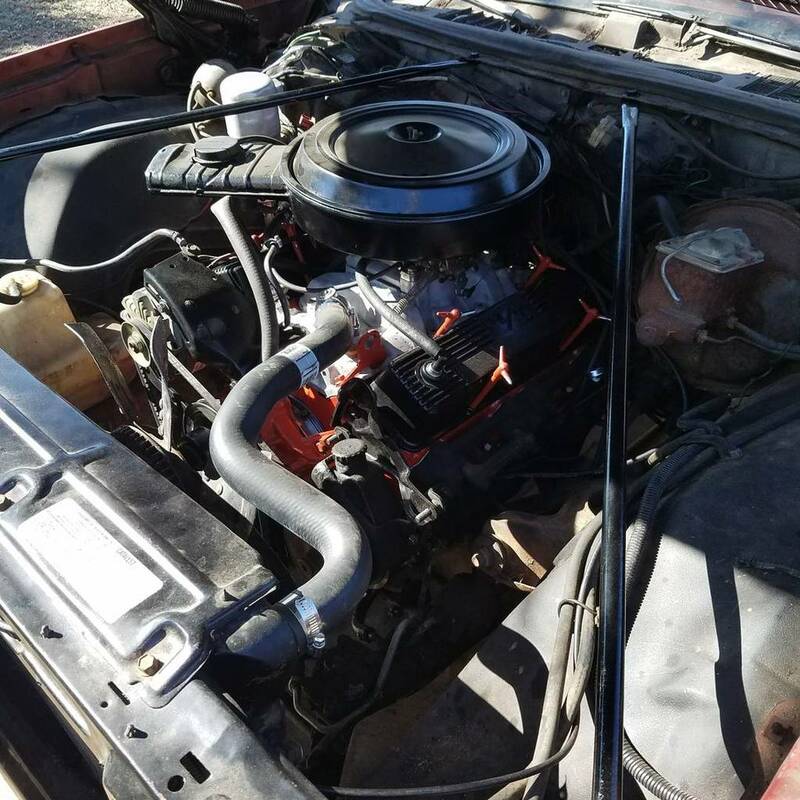 I have a bare 454 4 bolt block, Edelbrock RPM oval port heads, Edelbrock RPM Air Gap intake, and a very trashed 700R4 for a core. I also have a set of "NASCAR' Crager Soft 8 17" wheels that have been widened. Other than that, I need INSPIRATION!!! So, a quick note about your car and one pic. Here is mine. 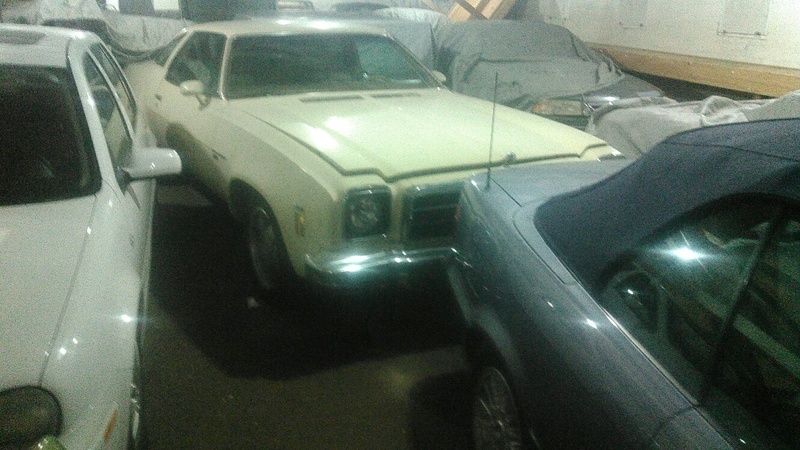 I have a 76 Laguna with the factory drivetrain still in it. I've had it for at least 9 years, and haven't done anything mechanically to it. I have done some interior work but need to finish. 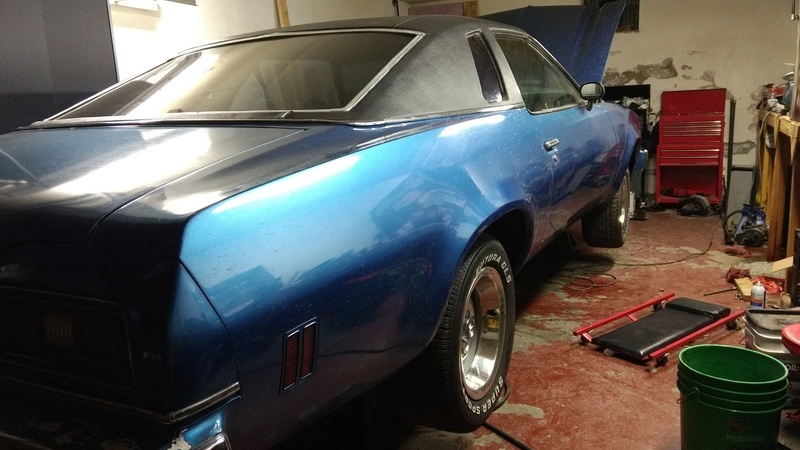 My daughter's car on the other hand, has been in the family for only about a year, and by the end of next week will have a completely new drivetrain in it. 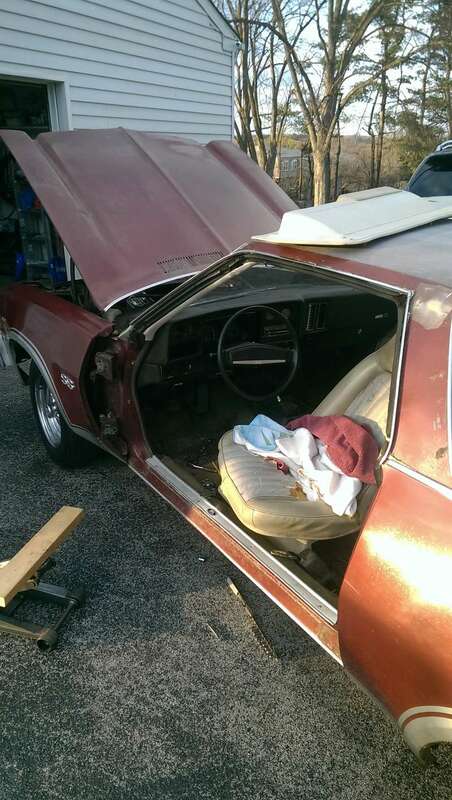 The Laguna was basically abandoned in my garage for a period of time until I started working on my daughter's 74 Malibu. 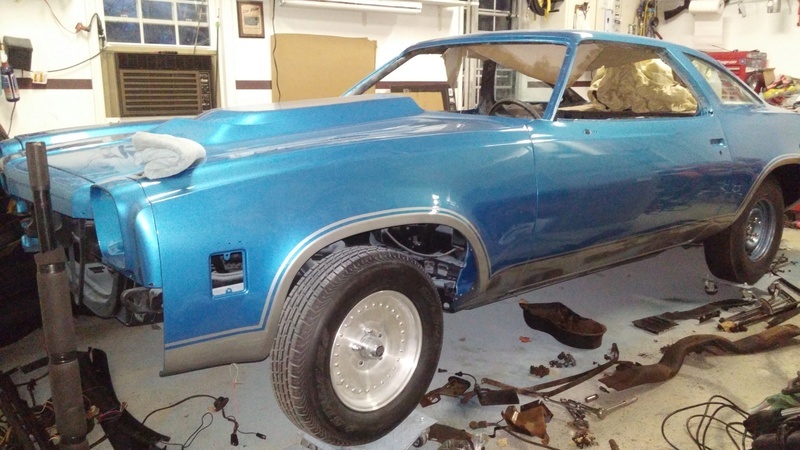 Nothing like driving a car like yours but better to get re-motivated to do something with it. Hope you get some inspiration from these shots Kevin. Until it warms up, this is where I'm at. lol Not long now and it'll be out of storage and on to this years mods. Intake, carb, sway bars, boxing of the rear control arms, and some new shocks. I can't wait! 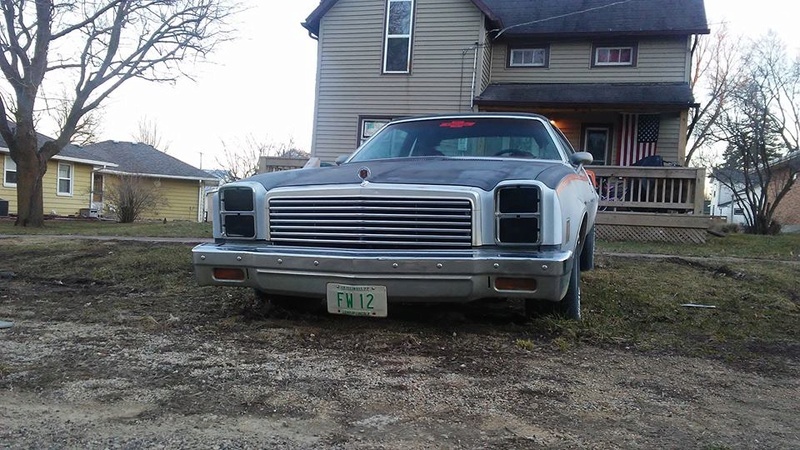 Here in Meechigan it's still too dang cold to get any work done on my station wagon, but I have a new dash cap waiting to be installed, new trim for the front fender and a pile of money waiting for a few more bucks in it so I can buy a TBI fuel injection kit. fasrnur wrote: Hope you get some inspiration from these shots Kevin. Until it warms up, this is where I'm at. lol Not long now and it'll be out of storage and on to this years mods. Intake, carb, sway bars, boxing of the rear control arms, and some new shocks. I can't wait! Have you already got your front shocks? If so, what did you get? I have the hood off and blocked out with 2000. I'll using polishing compound on it instead of rubbing compound. I tried a spot by hand and its real nice. 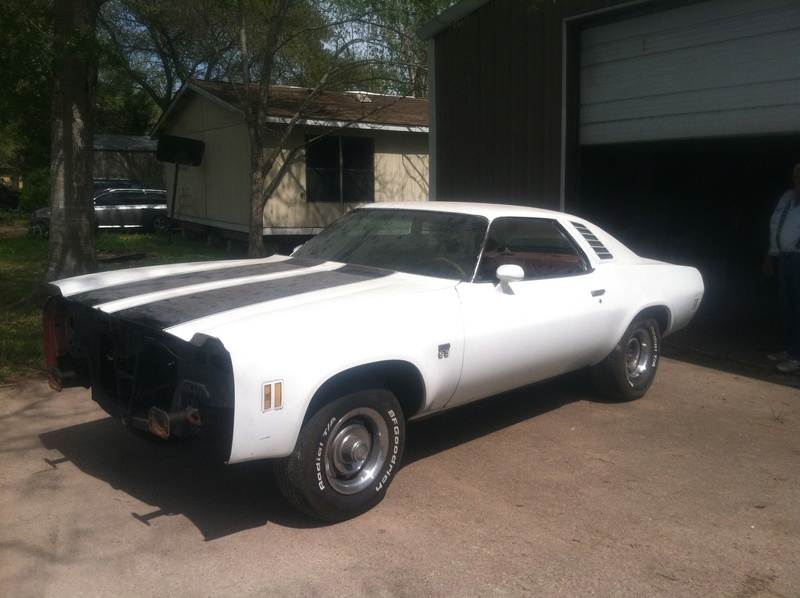 Thinking about maybe putting the engine together come April. Just have to order the heads up. 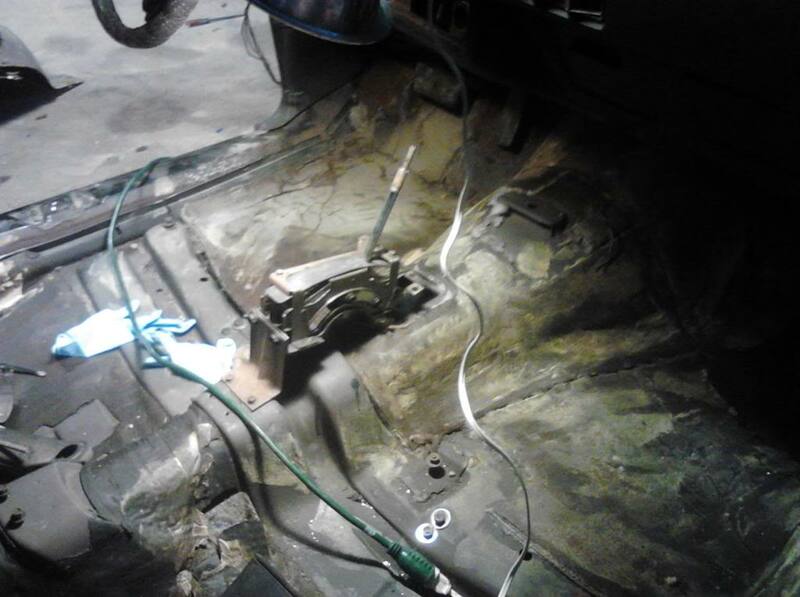 BTW, all the parts on the floor in the pic have been sold. I hear you about confusing. I can send you the KYB's I have when I get the new front springs. Damon you know you're making it tough for me to say no. LOL Let me know when and I'll send you the money. P.S. Back to regularly scheduled posts of "Where are you at pictures"
Nice job rosco77. How's it run? rosco77 wrote: It's funny this thread popped up. I just finished installing a new 350 built last weekend. Hey. I just got back in town. I did go to storage and look at the car before I left. The front left tire is completely blown out. Sitting in storage during a Texas summer must be tuff. I bet that was a loud boom when that blew out in the metal building. Now off to the used tire store just to get a tire to roll it around. Nice job on the engine install. That did help. 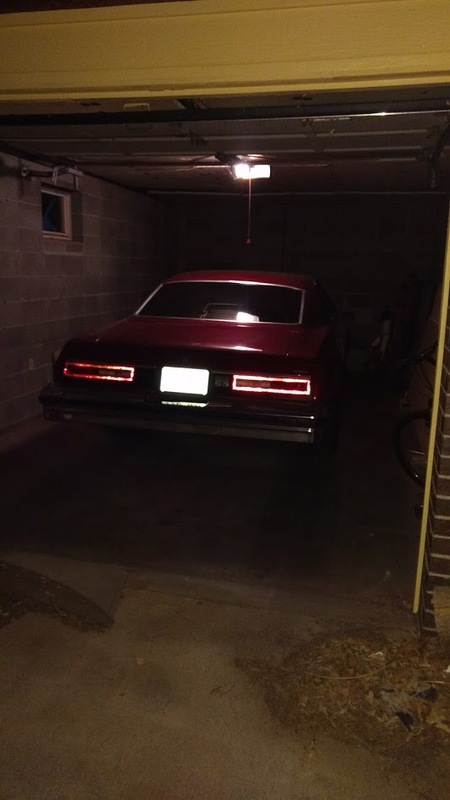 Hey Bigredlaguna, can you post a pic of your 76 Laguna that you have in storage? Thanks. fasrnur wrote: Nice job rosco77. How's it run? Pretty good the little I heard it run. I started a build thread for more details, but it seems I've burned up my starter trying to figure out a fuel delivery issue. Did you go with the original 305/153 tooth or the 350/168 tooth flywheel? I'm not sure about the teeth, but the guy that helped me build it was talking about the 305 having extra weights on it. The one I put on didn't have weights and he thought it was for a 350. He also gave me the one that was on the 350 before it went to the machine shop. I'll have to clean it up quite a bit, but should I get under and count teeth? BTW, I didn't mean to hijack this thread. REVINKEVIN wrote: Hey Bigredlaguna, can you post a pic of your 76 Laguna that you have in storage? Thanks. It's not storage so much, we still drive it once in a great while. I recently had to replace the radiator and fuel pump. We just don't drive it because the things that need done now are the same things that needed done when we got the car. Like suspension bushings----all of them need replaced. I don't know why I haven't got them done by now, but I do know they will get done in the near future. But here it sets for the time being.